JOHANNESBURG — Russian President Vladimir Putin, Chinese President Xi Jinping and other leaders of the BRICS emerging economies are gathering in South Africa for a summit likely to feature criticism of U.S. President Donald Trump’s wave of tariffs on foreign goods. Its members — Brazil, Russia, India, China and South Africa — are home to 3 billion people, or roughly 40% of the world’s population, with political systems ranging from democratic to authoritarian. China and India, the two most populous countries, have a border dispute. 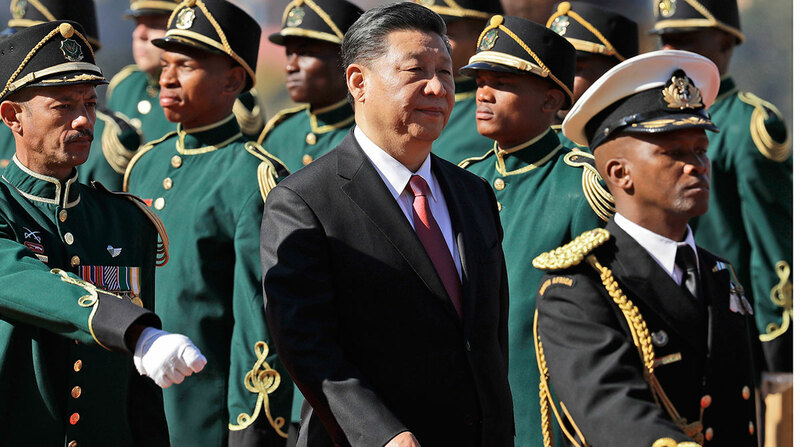 South Africa has expressed concern about a trade imbalance with China, its biggest trading partner. Despite their differences, the BRICS countries likely will find common ground in denunciations of “protectionism,” the label affixed to U.S. policies that Trump says are designed to restore fairness for American companies. China’s ambassador in South Africa set the tone in an opinion piece published in The Star, a South African newspaper. BRICS countries should cooperate to counter a “certain superpower” that has “recklessly implemented unilateralism and protectionism” and undermined “economic globalization and the multilateral trading regime,” Ambassador Lin Songtian wrote. At a weekend meeting of the Group of 20 nations in Argentina on July 22, U.S. Treasury Secretary Steven Mnuchin disputed that protectionism is the issue and said trade should be conducted on “fair and reciprocal terms.” The G20 is composed of traditional economic powers such as the United States, Japan and Germany as well as nations such as China, Brazil, India and Argentina. The Trump administration’s trade measures have included tariffs on steel and aluminum. China is the main target but U.S. allies such as the European Union and Japan also have been subjected to them. The BRICS countries are concerned about “rising protectionism” and will work “to strengthen those areas where their interests align,” said Cyril Prinsloo, a researcher at the South African Institute of International Affairs, a research center based in Johannesburg. China’s Xi held talks in South Africa with President Cyril Ramaphosa on July 24, ahead of the start of the three-day BRICS summit on July 25. The two countries signed investment agreements worth $14 billion, Ramaphosa said. The other BRICS leaders are Indian Prime Minister Narendra Modi and Brazilian President Michel Temer. Turkey’s president, Recep Tayyip Erdogan, is also expected to attend. The BRICS summit comes at a time of increasing “unilateralism” and provides an opportunity for member nations to push for a “larger collective role in global affairs,” said Francois Gamet, head of Asia for the Standard Bank Group.